This Christmas was extra special because we had a new addition to the family, Corbin. He was a big hit with the family. I especially got a kick out of my parents because between the two of them, they spent most of the day holding him, feeding him and loving on him. Even my 4 year old niece was loving on him. The day was lovely. We had breakfast, opened presents, watched a couple football games, watched Santa Clause 3, had lunch, played pool and just spent time as a family. My niece wanted to touch Corbin’s face so badly, but she knew she was told not to. My sister in law has been talking to them about what they can and can not do with the baby, but I guess it was a little hard for a 4 year old to actually apply. In her mind she sees herself as being very loving and motherly in the way she cares for her dolls, so why couldn’t she love on Corbin? We ended the night with her crying because she wanted to touch his face so badly and when I caught her stroking his head and I told her that his head is part of his face, she started to cry. She had a hard time understanding why she couldn’t hold him like she holds her doll and why he slept so much. She is extremely sensitive, so we all knew that no matter what we said wouldn’t completely appeased her, so we just told her that Corbin would be bigger the next time we came over and he would be more active and playful and that she could hold him and help bottle feed him then. That seemed to be acceptable, so we left it at that. Luke and I took Corbin to Sea World this week. We wanted to take advantage of our annual passes and the fact that we have our days free now that we are both on leave. It was so nice to get some fresh air and do something other than sitting on my couch. Plus, we practically had the park to ourselves. The only downside to visiting Sea World in December is that many of the food places are closed and we found out that the kid area is also closed till Spring 2008. On the upside, by the time Corbin is old enough to play in the children’s play area it should be open, so that’s good. Anyway, we had a great time spending the afternoon at Sea World as a family. I look forward to make more in the future. Does my son look like me or my husband or a combination of the two? I think sometimes you have to wait till a child is a few months old when they start growing into their features and their personalities start coming out to really see who they resemble. I guess I’ll have to wait and see. Being a new mother is wonderful, but it also offers new challenges and decisions. One of the most recent decisions my husband and I have had to make is how we are going to feed our son. I know that may sound strange to some, but for us we were faced with the reality that I am not producing enough breast milk. When we went to Corbin’s check up we found out that he had lost 10% of his original body weight and that is obviously not good. 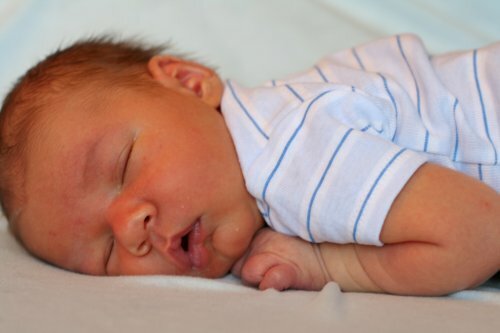 The downside to a newborn is that they are unable to communicate that they are still hungry or could eat more if it was offered. We now breast feed, then supplement with formula and pump. Not my first choice, but it needs to be done. The other decision is whether or not to be child centered or family centered in our feedings. The difference is whether you feed on demand or put them on some sort of routine. We have decided to follow a parent directed feeding routine. 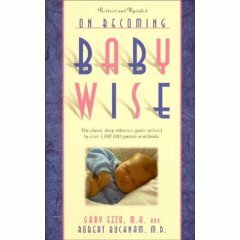 We heard of this from a few friends that recommended Baby Wise. They rave about the benefits and results from using this method and say they frequently refer back to the book. I am not planning on using it as my Bible to parenting, but there are certain things that I have found to be helpful and I plan on trying them out. The benefits to parent direct feeding is that the child knows when they will be fed giving them a sense of security and the parents structure those feeding around the family, not the baby. I will also know that my son is getting food continuously throughout the day and is never dehydrated. Demand feeding is more chaotic for mom and baby because there is no set time to feed, it all depends on when the baby is hungry which could be every 1-2 hours or possible longer for babies that don’t show signs of hunger and parents have to wake their child to feed. I honesty couldn’t function that way…I’d feel like a nervous wreck because I would wonder if my son was getting enough food. 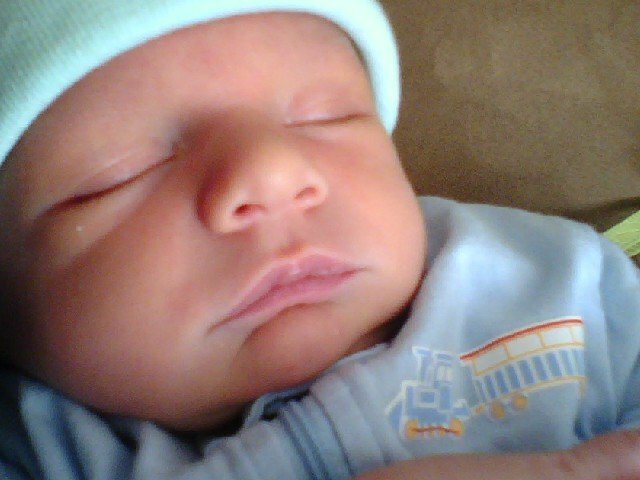 I feed my son every 2 1/2-3 hours and in between feedings I am able to do errands, go for a walk or whatever else I’d like. If I was demand feeding I don’t think I’d ever leave my home because of my paranoia. Corbin Alexander Shiras was born December 2 at 4:14am. He weighed 8lbs 3oz and was 22″ long.